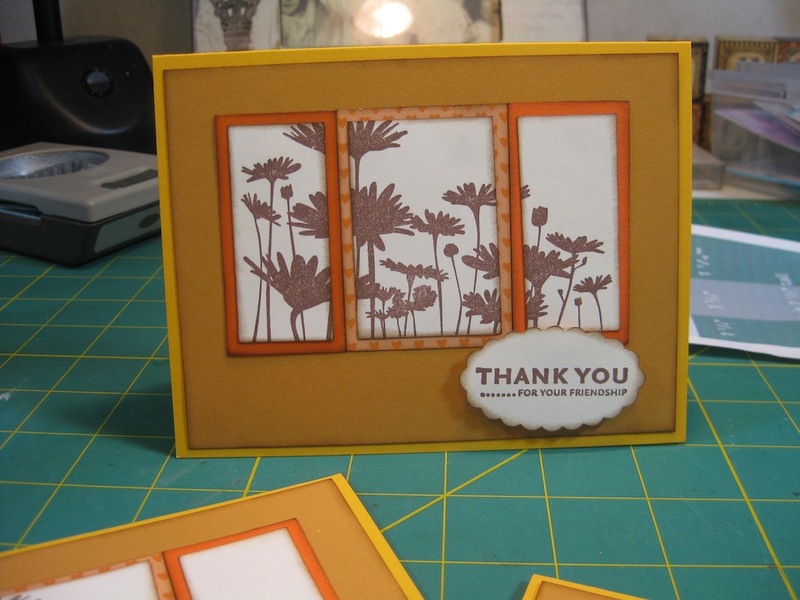 Today’s card is a “Thank You” card. This card was inspired by Operation Write Home Card Sketch #5. 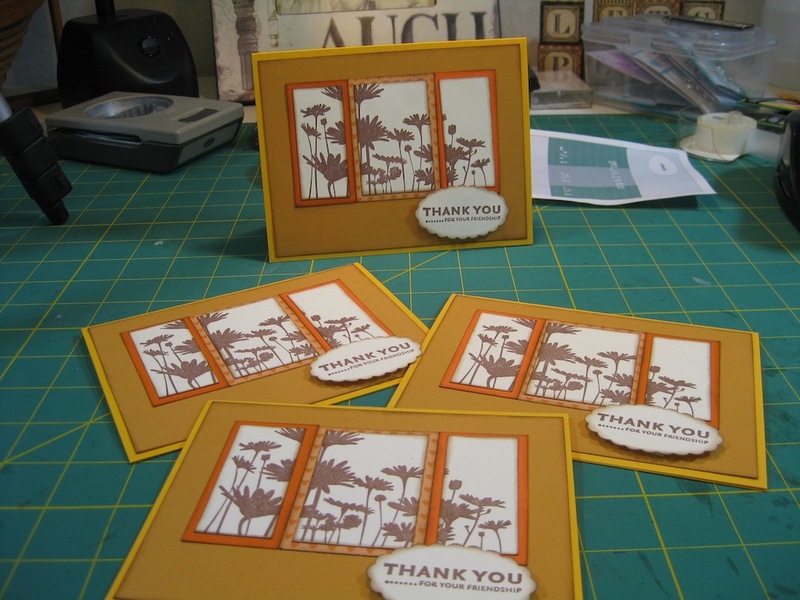 I have used a Stampin’ Up! set titled “Upsy Daisy” on this card front. I’ve used Close To Cocoa ink on the stamp. 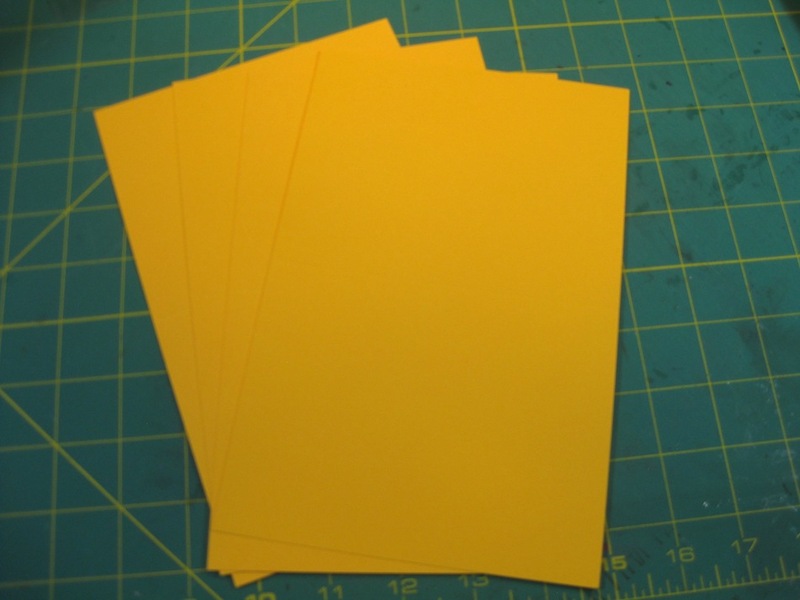 The card bases are yellow. I’ve made another set of four (4) cards. I went for a monochromatic color theme. Oranges and yellows with brown ink. 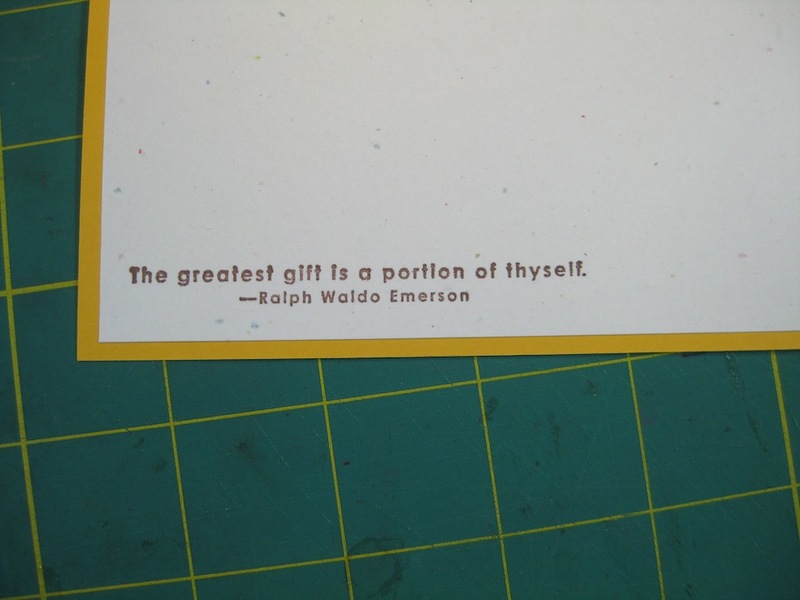 The inside of the card was stamped with a Stampin’ Up! set titled “Of The Earth” and I used Close To Cocoa ink on this as well. 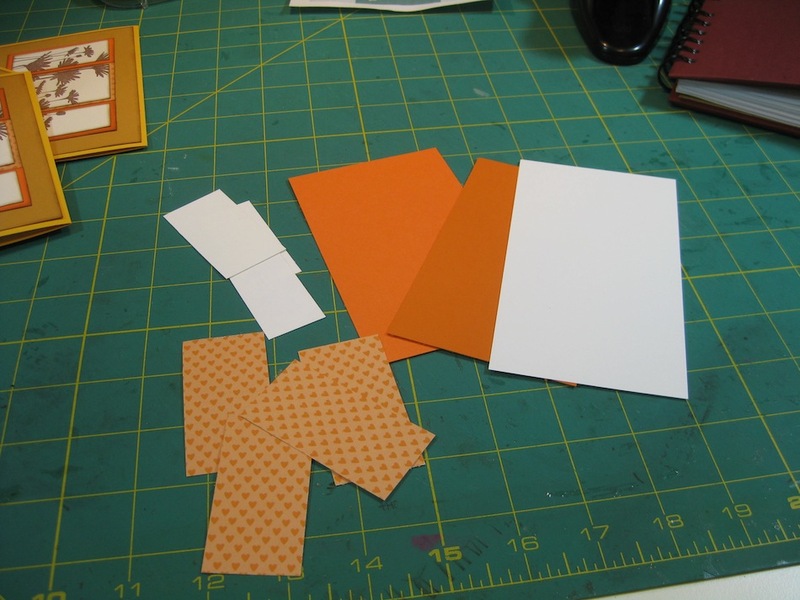 Here are the four (4) finished cards. Once I had finished making them and had a few minutes to sit back and have a look at them it struck me that I had used fall colors. Wonder if the cooler days are what inspired the color choice? 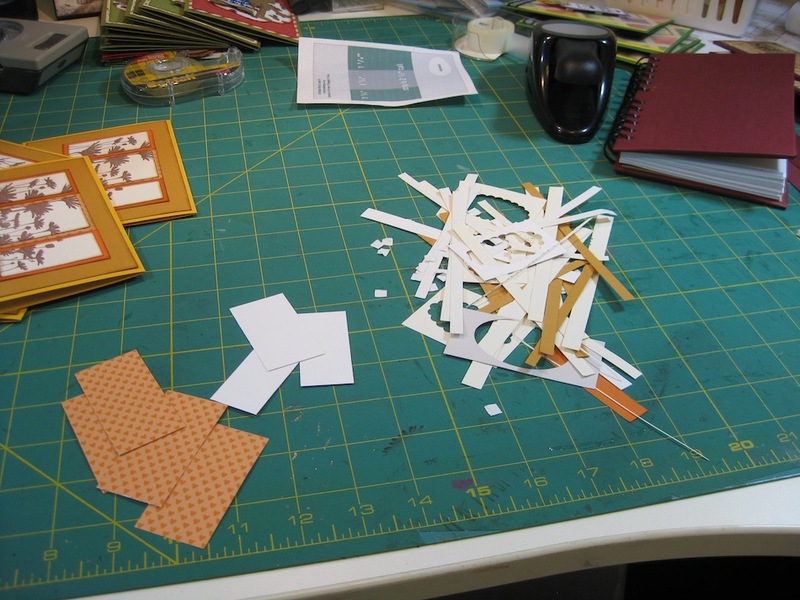 The scrap and trash left over from creating these cards is just this little pile. There are several pieces I will keep to use on a different project some time.